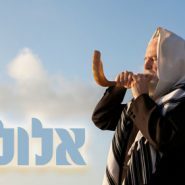 Rosh Hashana is just one month away! Here’s a simple yet powerful tool to get the most out of Elul and prepare for Rosh Hashana and this coming year in just 1 minute a day. You’re amazing. I was just thinking in the car a few minutes ago about how I should be learning mussar for elul. This is a great idea to incorporate! Thank you! !